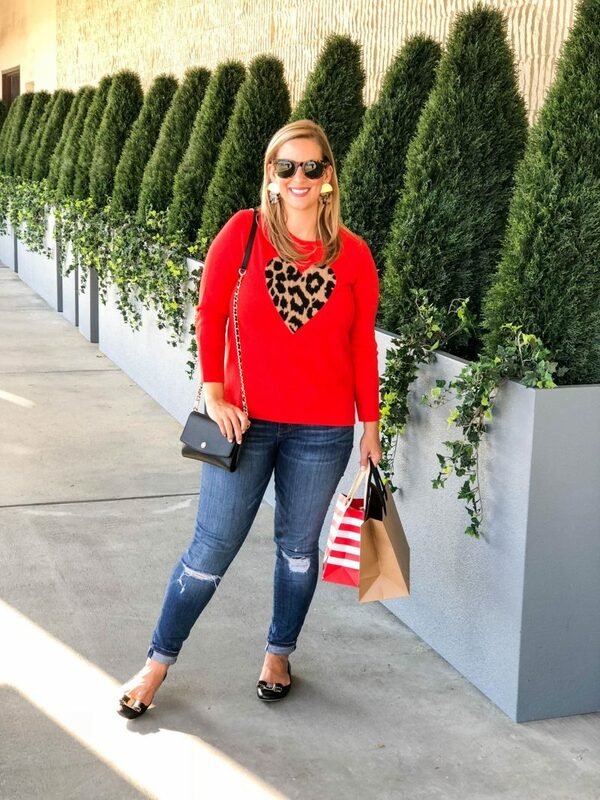 It was love at first sight for me with this sweater! 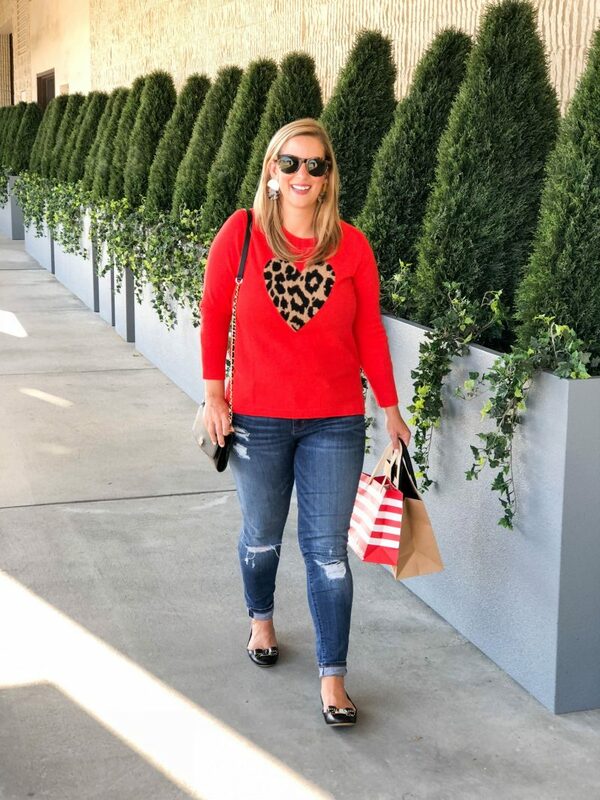 As soon as I saw it in my J.Crew store, I knew I had to have it. 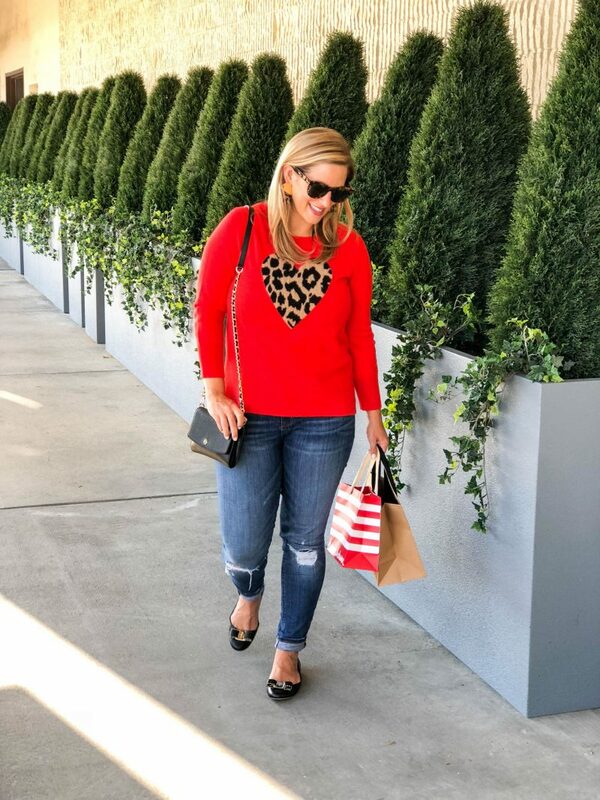 I happen to love wearing red and you also know I love leopard accents so it pretty much felt like me in a sweater. 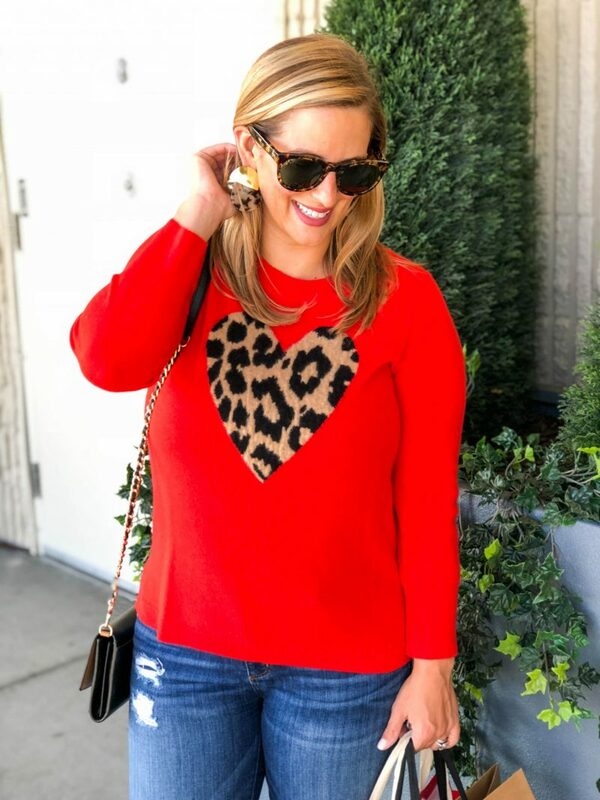 I started thinking about it later and I was wondering if a big heart on your sweater is kind of immature for a 32 year old woman, but honestly I don’t care. Did anyone else have those Limited Too shirts back in the day with big hearts or smiley faces on them? I distinctly remember one I had in fourth grade with a velour smiley face on a white tee. Such a random memory but I guess I loved that shirt. 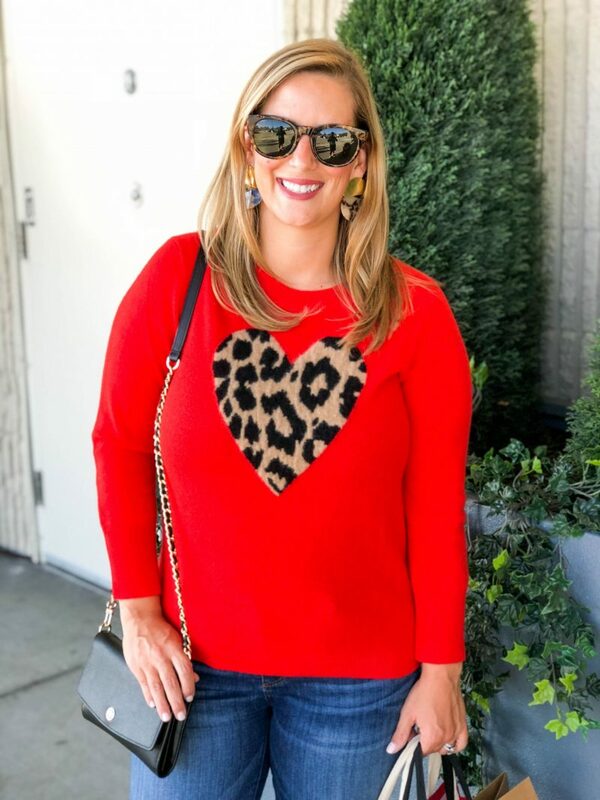 Well here’s hoping my new leopard heart cashmere sweater leaves as much of an impression as my smiley face Limited Too shirt did 20 years later! What are some outfits you remember from your childhood?